Hawaii became a U.S. state in 1959 and has over 1.4 million residents. Many of these residents purchase items from the mainland due to the limited supply of products on the island. However, a large number of online retailers do not ship to Hawaii, or charge an additional fee to ship to the state. How often do you see this policy? Because many mainland retailers do not to ship to Hawaii or charge a significant additional fee, this can be a huge advantage for online retailers to boost sales with very little effort. Specifically if you use the right shipping carrier, your products can look like an incredible deal to these buyers compared to online retailers who add a surcharge for shipping. Since a lot of retailers do not ship to Hawaii, your products will immediately stand out to buyers. Less completion is always a good thing for your business! If you sell swimwear, warm‑weather clothing or sports equipment, you may find a Hawaiian audience for your products year‑round. The USPS delivers mail to every address in U.S., including Hawaii, 6 days a week. As a result, their shipping rates are the same to and from Hawaii as they are in the 48 continental states. A USPS Priority Mail shipment from New York to Maui costs the same price as if you’re shipping the package from New York to New Jersey. That same warm climate that opens your business to year‑round boogey boards may not be as kind if you’re dealing in perishable or heat‑sensitive items. We suggest USPS Signature Confirmation for these items, so if your Hawaiian customers aren’t home at the time of delivery, the package will be safely waiting for them at the post office. If you use FedEx or UPS, expect the cost to ship to be much higher than you’re used to within the continental United States. These carriers treat Hawaiian shipments very different by charging higher rates. For example, a one‑pound UPS Ground package going to the continental 48 states is $9.14 for Zone 8 (Los Angeles to New York). That same one-pound UPS Ground package is $28.09 for Zone 44 (Los Angeles to Hawaii). Hawaii’s strict laws about bringing plants and animals to the island state were designed to protect the environment from foreign species. If you sell food or live items, you’ll have to carefully research whether they’re permitted in Hawaii. Are you ready to ship to Hawaii? Then Stamps.com is ready to help. 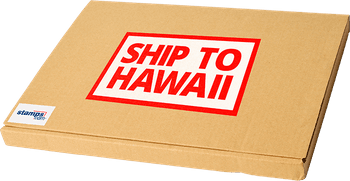 We have all the tools you’ll need to package and ship your products to Hawaii, in the USPS mail class that works best for your customers and your budget. 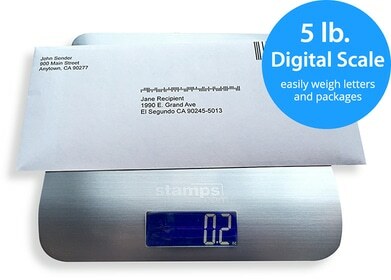 In addition, when you use Stamps.com, you’ll get discounts on First Class Package Service, Priority Mail and Priority Mail Express service, plus insurance up to $10,000.